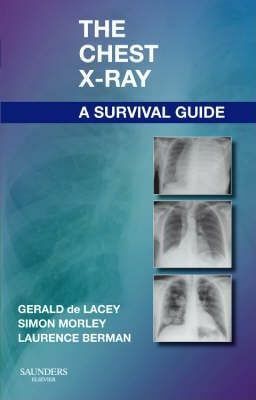 Featuring a practical, clinical approach - and written in a quick-access style - this portable, economical reference helps you build a strong foundation in chest x-ray interpretation. Three radiologists with years of clinical and teaching experience present fundamental principles and key anatomical concepts.walk you through examples of classic chest x-ray features that provide subtle evidence of abnormality.and explore a variety of problems and dilemmas common to everyday clinical practice. High-quality drawings and digital chest x-rays - combined with secrets from the radiologists' toolbox, helpful differential diagnoses, handy checklists, and key references - deliver all the assistance you need to enhance your interpretation skills. Provides a strong foundation of essential knowledge for an informed, systematic approach to accurate chest x-ray interpretation. Features the work of three radiologists who offer you the benefit of their many years of clinical and teaching experience. Emphasizes common errors and misdiagnoses to help ensure correct image readings. Presents step-by-step guidance in a bulleted, quick-access format, in short chapters focused on clinical problems, to make it easy to master the information that you need to know. Makes difficult anatomic concepts easier to grasp by pairing radiographs with color line drawings. Explains the nomenclature special to the field through a glossary of important terms. Highlights the most important concepts in diagnosis/interpretation via Key Points in each chapter.